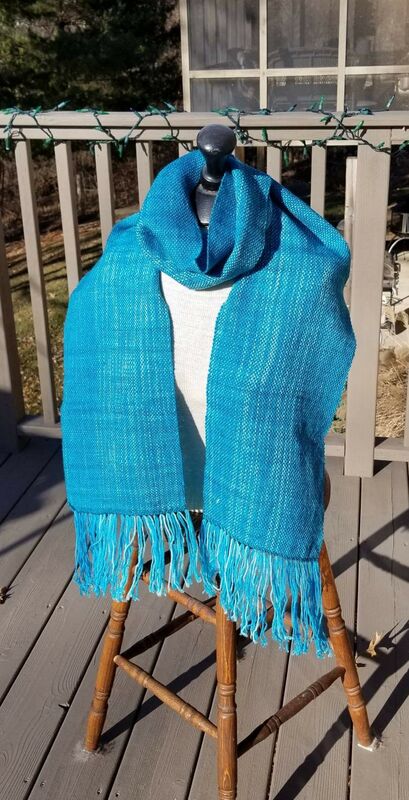 This handwoven scarf is made out of hand dyed merino sock yarn. Variegated yarn is used for the warp and a solid color for the weft. By doing this, you create the subtle shading. Being merino wool, this scarf is super soft. 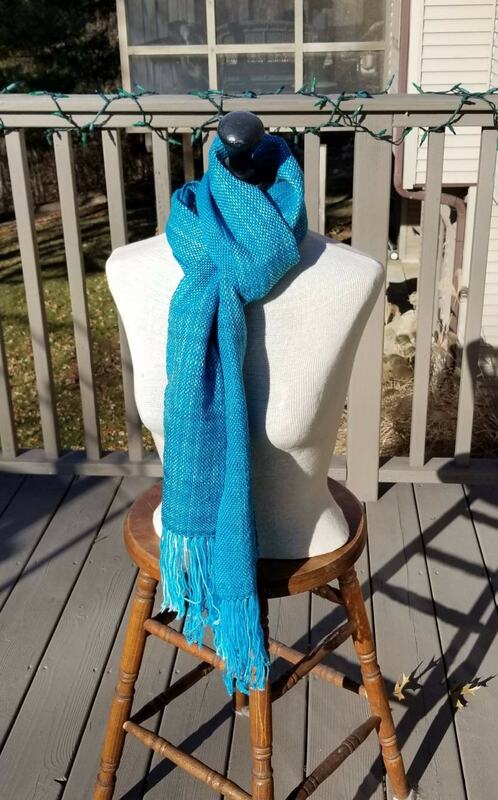 It is 8.5 inches wide by 74 inches (without fringe) long.